Some of our most popular small stock molds include step molds, bumper blocks, patio stones, picnic tables, benches and planter molds. Choose one of our gang molds to boost productivity or incorporate our Hydra-Strip® system for quick and easy mold stripping. Bumper block molds can be ordered individually or in gangs of 5. 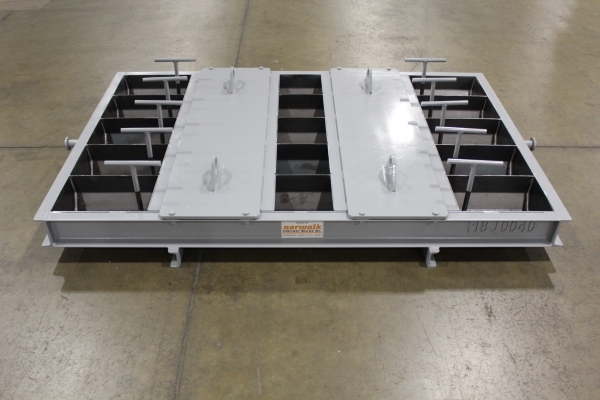 These molds are available in standard lengths of 6 foot, 7 foot and 8 foot with optional drainage inserts. These can also be customized for your application. Bench molds are offered in different configurations including one piece or four piece designs. 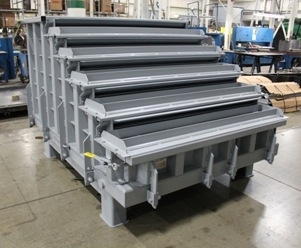 Single and dual cavity molds for the ends, back and seat sections are available. 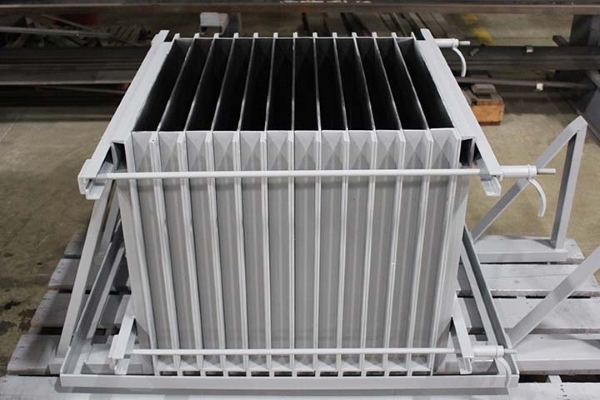 Splash block molds are available in a variety of standard sizes and can be customized to suit your specifications. Order our patio stone molds individually or in gangs of 12. 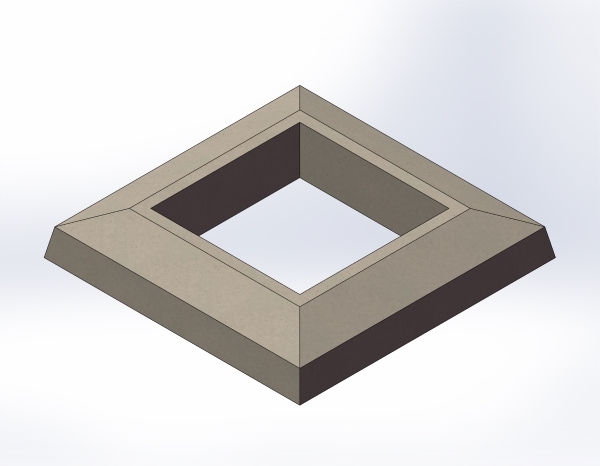 Patio stone molds are available in a variety of standard sizes and can be customized to fit your needs. 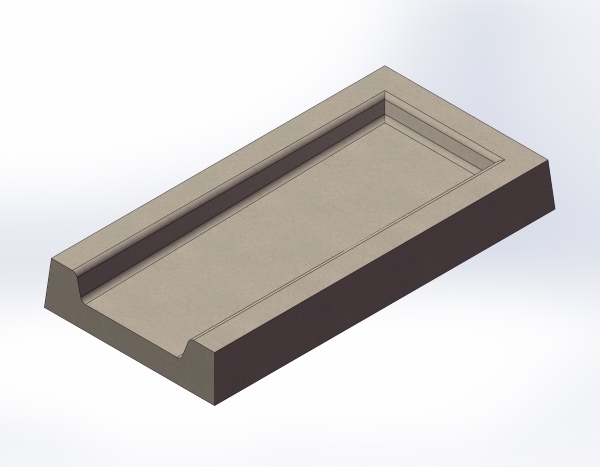 Planter molds are available in a variety of standard sizes and can be customized to suit your specifications. Different configurations of our picnic table molds are offered which include single and dual cavity molds for the top and seat sections. Picnic table designs may utilize pressure treated wood slats. 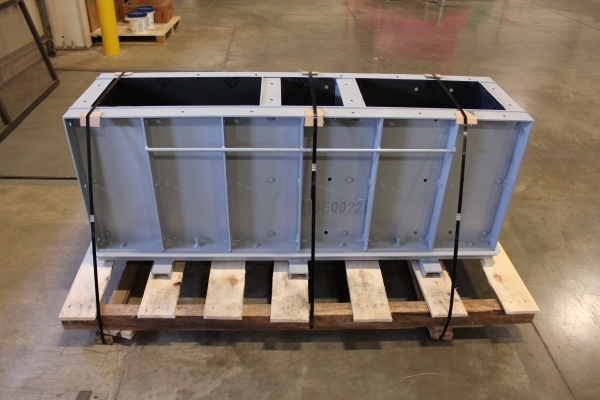 Block molds can be manufactured with a variety of interlocking features such as our V-lock or tongue and groove detail. These are available in a variety of standard sizes and can be customized to suit your specifications. 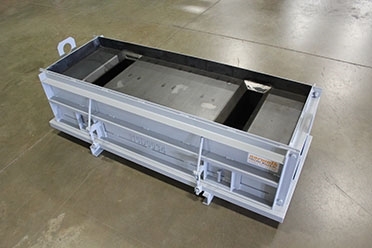 Our standard step molds are offered with either a Type I or Type II profile. 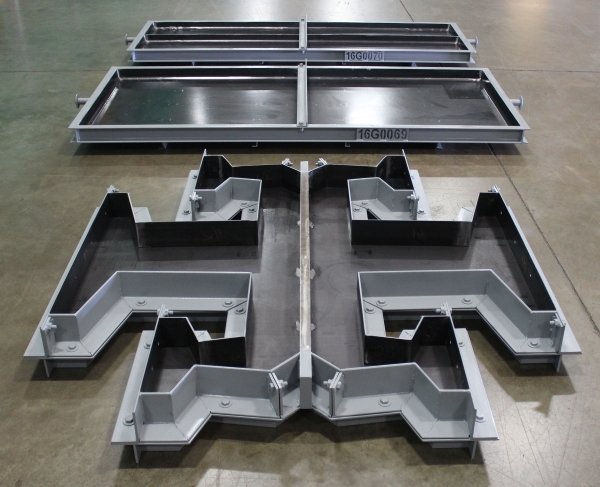 Utilize the versatility of these molds to produce multiple widths, heights and platform sizes from a single mold. 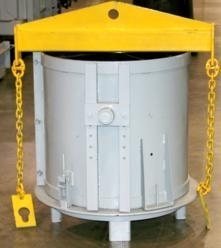 Our standard trash receptacle molds are designed for use on 55 gallon drums. The inside of the receptacle will accept up to 20 gallon trash container. Choose from one of our standard round, six sided or eight sided trash receptacle molds or customize one to your specifications. 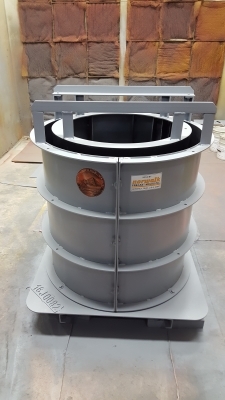 Chimney cap molds are available in a variety of standard sizes and can be customized to suit your specifications.